Sunday 10am-4pm or Saturday 3pm-9pm Experience the quiet, transformational practices of yoga and meditation in a sanctuary of nature and peace. 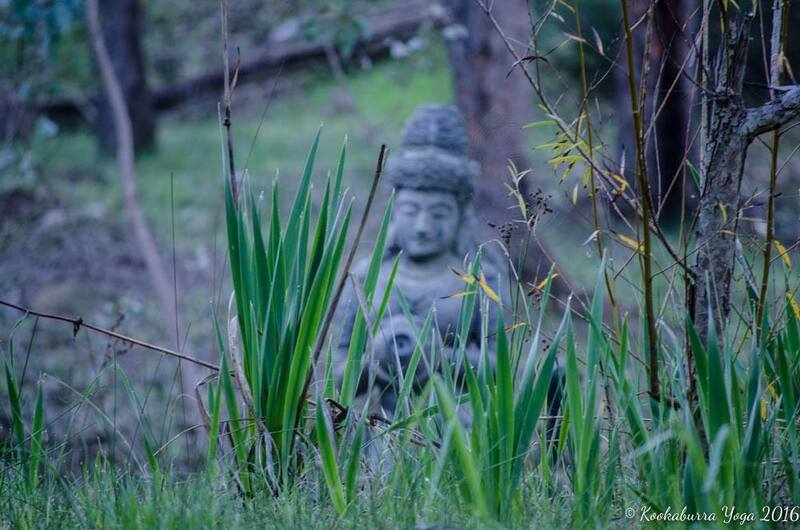 Our Sound Silence Stillness Retreats are held most months - either a Saturday evening retreat or Sunday 1 day retreat. The program is deeply peaceful and healing. Includes live Sound Journey; Silent Meditation in Nature; powerful and vitalising yoga, pranayama and meditation practices; nourishing vegan morning/afternoon tea and lunch/dinner made with love. The evening retreat also includes a traditional vedic fire ceremony. Cost is $110 per person or $210 when booking for 2. Leave behind the stresses and worries of everyday life. Regardless of circumstances, peace, calm and contentment are possible for all of us. Sometimes the solution is to simply stop trying to fix things, striving for the perfect life, or waiting for others or the world to right itself. Each of us has the capacity to retreat, for a short while, to nurture and replenish ourselves with nourishing spiritual practices to regain perspective and connect again with our inner self and life purpose. We're then able to emerge, replenished with awakened life-force, energy and clarity to go forward in life with peace in our hearts and joy in our step. The Sound Silence Stillness retreat programs engage the senses through the beauty of the environment, healing sounds of nature and a guided sound journey with healing instruments. Even the food served is carefully balanced and prepared to nourish and nurture. You'll attune to the subtler sensations and fluctuations of mind through the Raja Yoga practices of asana, pranayama and mantra meditation - leading to a naturally quiet, transcendent and blissful state. ​It is here you rest in body and mind, before journeying deeper to balance and access your creative and healing potential, shining the inner light on your unique gifts and true life purpose. 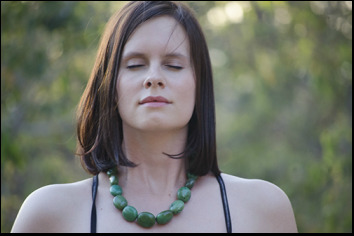 Sound Silence Stillness is a retreat program designed and facilitated by centre directors Robert and Mandy who have decades of experience practicing and teaching the subtle, powerful and transformational methods of yoga. New this year is the Sound Silence Stillness Evening Retreat which features the beauty of the environment, healing sounds of nature, a candlelit sound journey with healing instruments, yoga, meditation, a vedic fire ceremony and vegan feast. 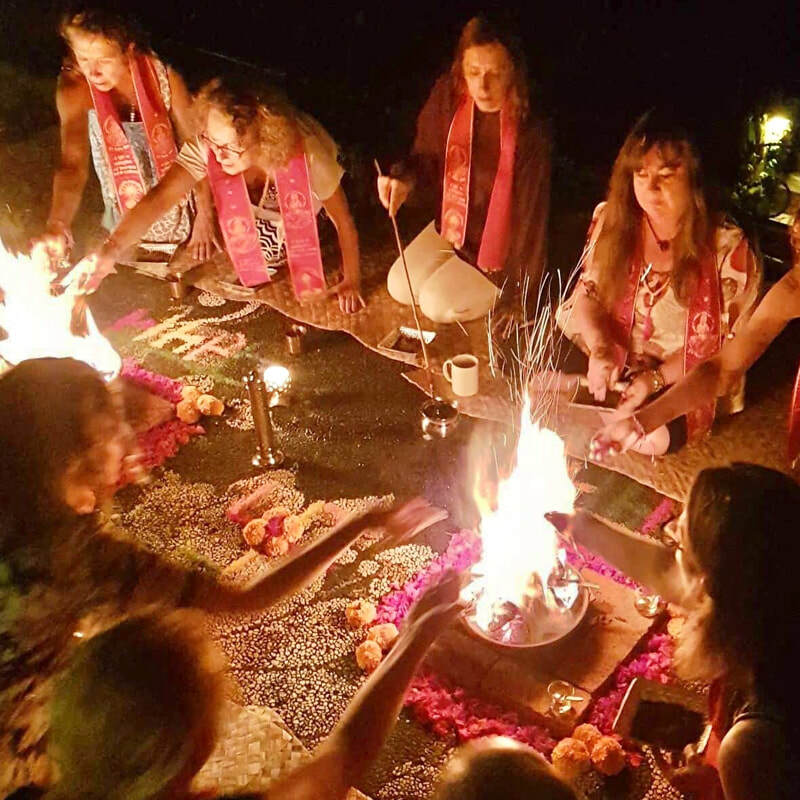 We light the healing fire for a full Havan - an outdoor traditional vedic fire ceremony to bring protection, healing and peace which incorporates 108 sacred mantras. 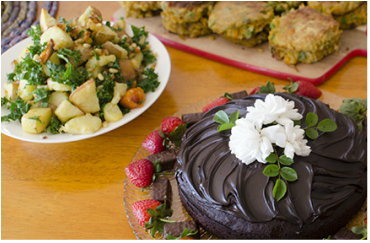 You'll enjoy a vegan buffet dinner which is delicious and plentiful, carefully balanced and prepared to nourish and nurture the body, mind and soul. Then it is back to the stunning candlelit yoga shala for soulful soundscape meditation featuring a guest sound healer and musician with her gongs, chimes, hoop drums, etheric voice and crystal bowls - to lead you into a state of blissful relaxation. The evening concludes with a heartfelt prayer to the divine source of light, love and blessings. And all of this in one of the world's most stunning and unique yoga studios, right here in Perth only 40 minutes from the CBD and Fremantle. Kookaburra Creek is an astoundingly beautiful 10 acre property in the Perth hills only 40 minutes from the CBD and Fremantle. It has abundance of native flora and fauna and is preserved as a sanctuary. The usual noises of life, and even those of your own mind, recede as the sounds of nature soothe the senses, transporting you to an inner world where silence and stillness become possible and healing occurs. 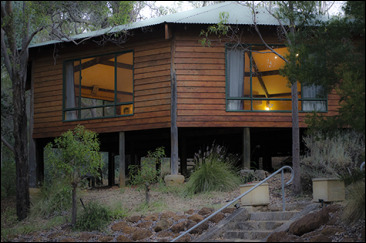 The Kookaburra Yoga retreat program brings the history, philosophy and practices of yoga to life. We have an idea in our mind about what yoga is and even what life is, when in fact this is often a dream. The sages, rishis and deities are our alarm clocks - waking us from this this living dream. When you awaken and realise the true nature of things, life takes on a new perspective - infused with light and love. This is the blessing and beauty of a spiritual retreat. 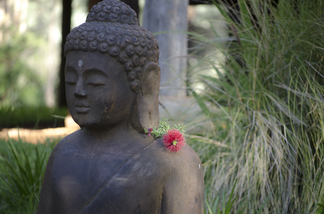 Each Sound Silence Stillness Retreat has a theme from the yoga tradition and its vast body of teachings and concepts which we subtly and gently interweave throughout the program, providing you with opportunities to explore and understand your own inner world and experience of life within a yogic context. 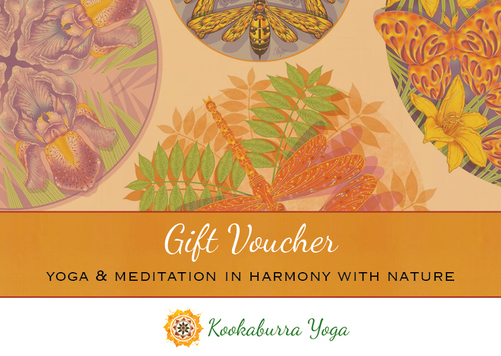 Kookaburra Yoga's integrated system of Hatha and Raja Yoga includes practices which are holistic and beneficial on every level of being. Asanas are of 4 types: those which bring inner quiet; those which bring focus and body awareness; those which bring humility and detachment; and those which increase confidence and vitality. 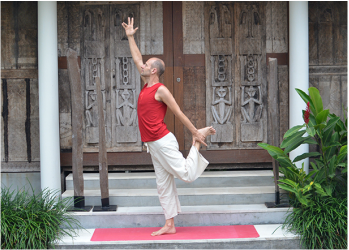 Inspired by the great master Sivananda these practices restore internal balance leading to enhanced wellbeing and calm. 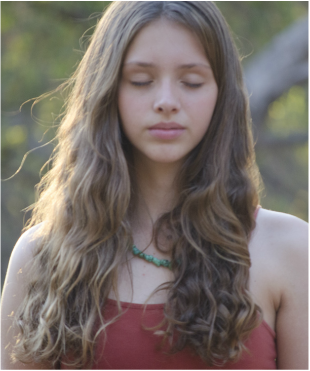 ﻿Deep and powerful yogic breathing practices using subtle sound and breath to awaken and direct and innate life force and balance the body’s energies. These pranayama techniques are rarely taught and lead to a transcendent and blissful state of body and mind, preparing the practitioner for an immersive meditation experience. The deeper meditative practices of Raja Yoga lead us to the state of silent meditation and perfect stillness of body, mind and soul. Using effective and easy to master techniques we bring steadiness to the mind and control to the flow of thoughts. It is within the silence and stillness that healing and self-realisation occur. ﻿Slow down and just be with this deeply restorative, inward style of yoga where there are long holds of beautiful, floor-based poses. The afternoon yoga session is blissful and restorative with a Yin focus to restore vital life force, release muscle tension and tightness in connective tissues; cultivate mindfulness in movement; deep, deep relaxation. Our guest sound healer leads you on a deeply relaxing and healing Sound Journey. Using sacred instruments, gongs and music bowls, the intuitive arrangement of harmonious sounds transports you deeply inward to experience the peaceful state beyond the body and mind. It is in this space healing becomes possible. Mouna is sacred silence. We have some quiet time during the day where we withdraw our attention from the outer world and reflect inwardly. Without the need for communication we more fully experience the present moment, cultivating an inner quiet which replenishes our energy and deepens our presence and awareness. We learn to be present with others in comfortable silence. Food on this retreat is sattvic - meaning it brings peace and enhances the wellbeing of the body, mind and spirit. Retreat food is colourful, beautiful in flavour and aesthetic appeal and plentiful! All food is plant-based, predominantly organic, using ingredients fresh from the Kookaburra kitchen garden. Most dishes (including cakes) are vegan and gluten-free. We believe food should be sustainable, pure and real - supporting your body to cleanse and heal. 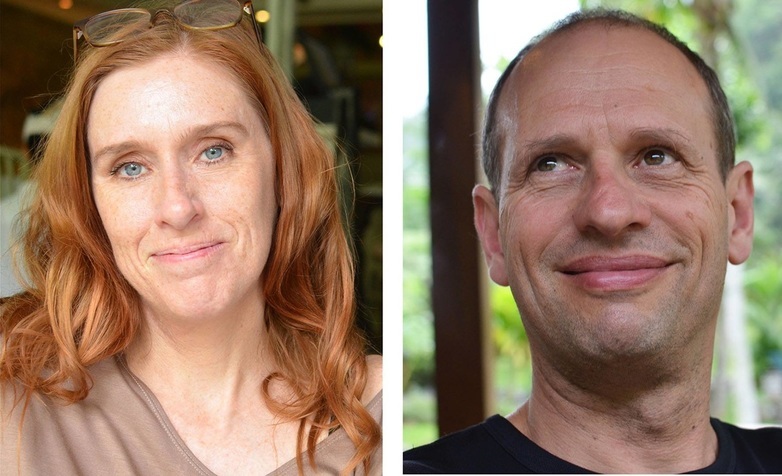 Sound Silence Stillness is a retreat program carefully designed and facilitated by centre directors Robert and Mandy who have decades of experience practicing and teaching the subtle, powerful and transformational methods of yoga. They bring together their knowledge, insights, and combined experience to gently guide participants to deeply experience the balancing & healing potential of yoga. Such a beautiful and sacred place with teachers who not only have huge depth of knowledge but also clearly embody their teachings. I feel incredibly grateful to have discovered this place of peace, tranquility and joy in Perth. So much gratitude. ​Just amazing!!! Amazing relaxation, yoga and meditation, peace, tranquility, beautiful surroundings and people. Thoroughly recommend. ​Everyone is welcome. This is a wonderful immersion into traditional yoga. No experience of yoga or meditation is necessary. Value for money. Retreat cost is fully inclusive with quality, nourishing meals included. We believe yoga should be affordable and accessible and set our pricing accordingly. Socially and environmentally responsible. We care for people and the planet. All our retreats cause as little harm as possible. We choose vegetarian and vegan food where possible. Kookaburra Creek is an eco-conscious venue drawing on its own and natural resources including solar power, rain and spring water and our own organic food gardens. Do I need experience in Yoga to attend this retreat? No, we welcome anyone who is interested in embarking upon a journey of self enquiry and discovery. The yoga and meditation practices on this retreat are carefully explained and taught in a caring and respectful manner. All of the practices taught can be adapted to suit the needs of each participant. We welcome people seeking a healing, calming experience, regardless of their knowledge of or experience in yoga. 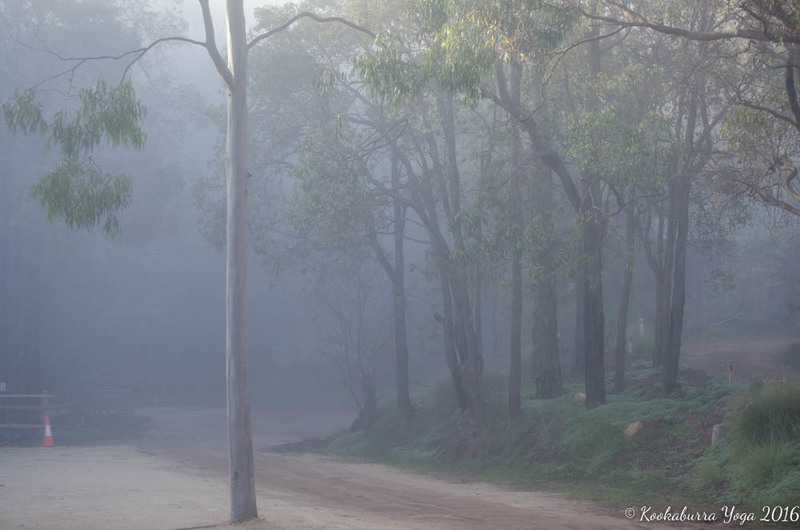 Kookaburra Creek Yoga Centre is located at 210 Carradine Road, Bedfordale WA 6112. This is approximately 40 minutes drive from both Perth and Fremantle and only a few minutes drive from the Armadale town centre. Kookaburra Creek is not accessible by public transport. The nearest train station is Armadale which is approximately 40 minutes walking. Full payment is required to secure you place on this retreat. If you cancel more than 1 week prior to the retreat, your full payment minus $50 administration fee will be refunded to you. If you cancel less than 1 week before the retreat your payment can be transferred to another retreat date. If you cancel less than 48 hours prior to the retreat you forfeit your payment. In exceptional circumstances we can refund the money to you or transfer your booking to anther date. If we have a waitlist and can fill your place from this, all money paid (minus $50 admin fee) can be refunded to you regardless of when you cancel. full payment is required to reserve your place on this retreat. 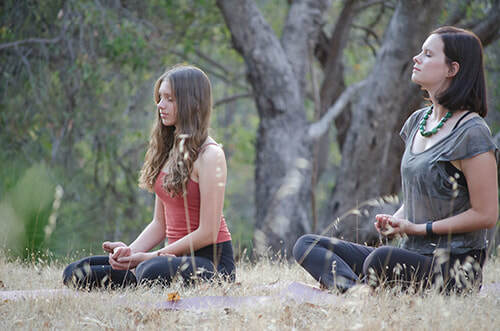 Kookaburra Creek Yoga Centre has the capacity and equipment for 40 students. Do you know someone who loves (or needs!) 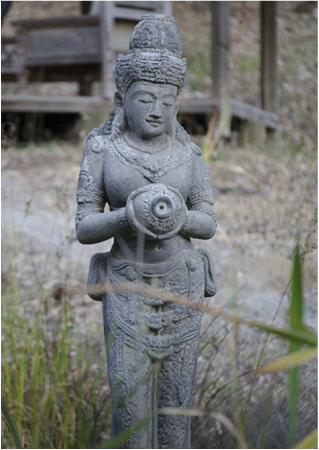 yoga in their life and would deeply appreciate a one day yoga, meditation and healing retreat at the beautiful Kookaburra Creek? Our personalised gift vouchers have no expiry, so they can choose any date during 2017. Click here to order a Gift Voucher - and we can mail it to through the post or via email - to either you or directly to the recipient.